Although the names of the months that we have in our calendar are of Babylonian origin (See Ramban Bo 12:2), there is a Midrash that darshans them. (See Torah Sheleimah Miluim Parshas Bo P.177) It is very interesting to look through the quick list of names and their meanings and gain perspective about the months. The month that we are just beginning now is called Teves. The Midrash tells us that the grammatical root of this word is Tov which means good. It was during this month that Og and Sichon were killed in battle by Moshe Rabeinu. So formidable were these foes that this Midrash states that even Moshe Rabbeinu feared them. The goodness of this victory is so great that this month's name reflects that. It is interesting to point out something that I posted a little bit about last year during this time. Teves is the time when the winter solstice occurs. While this event is the first day of winter, it also marks the shortest day of the year. From this point on the days begin to get longer. Thus, it has been seen historically as a time of renewal and a time to emerge from darkness. Another Midrash mentions that the astrological sign of this month, G'di (Capricorn[us]) shows such a renewal. (Tanchuma Haazinu 1) This sign is shown as a young goat that is the epitome of an immature creatue about to begin developing. It is similar to the T'leh (Aries) that is the sign of Nisan, the first month, since they are both ovine creatures. The T'leh, says this Midrash, has gone through its lifecycle and it is now in Teves that it finds a rejuvination and renewal as a young kid, G'di. How apropos then that the first portion of the conquest of Eretz Yisrael happened at this time. This was a new beginning for Klal Yisrael as they were starting anew in their land. This is also the reason why many cultures have their new year at around this time. They viewed this time of year as a time of rebirth and, therefore, the connection to start a new year now was seen as obvious. The Rema (Toras HaOlah 1:15) compares the Menorah of the Beis HaMikdash to a microcosm of the cosmos. He states that the seven branches were symbolic of the seven "stars" that are known to move independant of the regular stellar motions. These "stars" are the sun, moon and the five planets that can be seen by the naked eye (Mercury, Venus, Mars, Jupiter and Saturn). The comparison does not end there. The Menorah was lit in two stages, first five candles were lit prior to the afternoon sacrifice, and the latter two afterwards. This, says the Rema, demonstrates that the sun and moon, which appear significantly larger than the other five (they look like stars), are different. The fact that they are all lit from the western light also indicates that all these other bodies only reflect the light of the biggest of these, the sun. There were eleven circular knobs on the Menorah and they represent the eleven spaces in between the twelve mazalos. They are round to demonstrate that the mazalos circle around through the year and, even though we discuss them as starting with T'leh/Nisan and ending with Dagim/Adar, they really have no beginning or end. There are twenty-two cups showing the twenty-two elements of which the universe can be subdivided; water, wind, fire, the twelve mazalos and the seven "stars" mentioned above. The nine flowers that adorned the Menorah were symbolic of the nine spheres that the Greeks perceived to surround the earth. These spheres were perceived to be in motion and through them the objects orbited the earth. B"H, as I have mentioned in previous posts, it seems that my new book, The Secrets of the Stars, is in bookstores across the US. If anyone will be in the Skokie/Chicago area, I will be speaking there this coming Shabbos and Sunday! On Chanukah we commemorate the victory of the Chashmonaim over the Syrian Greeks and light our menorahs to recognize the miracle of the burning oil in those days. Chanukah is one of many festivals mentioned in Megillas Taanis. The overwhelming majority of holidays mentioned in this old text have ceased to be celebrated, yet Chanukah has not. The reason given for it being an exception is that Chanukah has mitzvos associated with it and these other festivals do not. While that is certainly true, it is still astounding to see that we celebrate a victory whose mark seems to have faded. Why does the fact that there is a mitzvah involved change things?How is it that we celebrate a victory whose effects seem to not have any impact on our lives? If one looks at the Rambam's record of Hilchos Kiddush HaChodesh he will see rules of astronomical observation that enable one to regulate the calendar. The Rambam mentions the source of this knowledge that he is recording. As I am sure you have guessed, it was the Greeks!!! (17:24) How could it be that the pride and expression of our wisdom that was supposed to be our signature was usurped by the Greeks? The Rambam mentions that initially there were scholars from Shevet Yissachar that possessed this knowledge and that they had compiled books on this topic. Unfortunately, those works have been lost. The standard Divrei Torah for Chanukah generally focus on the clash of cultures between the Greeks and the Jews. Both cultures gave significant weight to knowledge, however, the Jews were focussed on Torah knowledge which is pure and holy. The Greeks did not care for this truest of wisdoms. The victory of Chanukah was symbolic of Torah being victorious over this other culture, it was not just a war of independence, it was a clash of ideologies. Nowadays we find ourselves in exile and we wait for redemption. The true wisdom of Torah has not been able to shine forth and inspire the world to serve Hashem. The Greek philosophy seems to be winning. However, we can look at that small glimmer of light that was Chanukah from years back and realize that things will return one day to their glory. Shevet Yissachar, the epitome of Torah scholars, initially were the ones that were looked towards for wisdom, but then we sinned and the "Greeks" moved in. Our glory cannot be seen and we seem to use the Greek understand to figure out Rosh Chodesh! One day, though, we will be victorious. The mitzvos of Chanukah make it eternal. Chanukah wasn't like the other festivals which showed victory in extreme situations. Chanukah displays that it is the mitzvos and Torah life that will be victorious eventually. Once again I am thankful for my recent sefer, The Secrets of the Stars finally coming out. I will, IY"H, be in Skokie/Chicago this weekend and have two speaking engagements while I am there. The first is a Shalosh Seudos in Chovevei Tzion of Skokie and the second is Sunday morning in West Roger's Park at KINS. It is with much hakaras hatov to Hashem that I am able to finally announce that The Secrets of the Stars is finally in book stores. As many of the regular readers of this blog know, I wrote a book some time ago and Israel Book Shop decided to publish it. The book is finally available and I must say that I am extremely happy at how it came out. A tremendous shkoyach to Israel Book Shop!!! This blog explores many facets of the intersection of the celestial objects and Torah. It is generally comprised of short ideas and thoughts that are relevant to the parsha or time of year. The book does so much more. Extensive research went into the book and it explores the concept found in Chazal and the rishonim that the Torah is encoded in the night sky. The reader is first shown how the storyline of Bereishis through Yetziyas Mitzrayim are found in the night sky. Then I show how the destiny of Klal Yisrael is expressed in the night sky. Along this cosmic journey the reader can see how Yechezkel's prophecies are also encoded in the sky and how they display Klal Yisrael's history and destiny. I hope to allow the reader a glimpse into a fascinating dimension of Torah which has, unforunately, been inaccessible in recent times. I have received haskamos from Rav Asher Weiss (Minchas Asher), Rav Dovid Cohen (Gevul Yaavetz), and Rav Yisrael Belsky. If you are interested in purchasing, you can click on the icon of the book found right next to this post, or you can click here. Although I concede that the following points can be countered without too much difficulty, I would like to express what the basic wording of the pesukim appears to portray. Since the pasuk states that they fought until dawn, it would seem that the minor conversation that ensued happened just after dawn. This seems apparent in verse 27 more explicitly when the angel requests to be freed, "because dawn has already arrived." Rashi mentions that the angel needed to be released because it was his time to sing his praise to God. Rabbeinu Bacheye mentions that daybreak was the opportune time for this angel to sing these praises. If so, wouldn't it be necessary for him to sing at dawn. The implications of the pesukim are that he was able to begin the song just after dawn, though. Why didn't he surrender a few minutes earlier and then he would have been able to sing at daybreak itself? Elsewhere, the Gemara mentions that nighttime is a dangerous time to be on the road. (Pesachim 2a) Rashi comments that prior to sunrise one should not begin his journey because bandits may lie in ambush. (Rashi, Pesachim 2a) It would seem that the daytime that bandits fear is not after dawn, rather, they only go into hiding from sunrise and on. Thus, if the angel was suspect of being a bandit it would seem that he was displaying a fear of sunrise and not dawn. Perhaps, Yaakov noticed this from the fact that it was only after dawn that the angel requested to be freed prior to daybreak. The daybreak he must have been referring to was sunrise. Therefore, Yaakov thought he must be a bandit. WE ARE FINALLY HERE AT THE RELEASE!!! ALREADY ADS HAVE COME OUT IN SEVERAL PUBLICATIONS AND THE SECRETS OF THE STARS SHOULD BE AVAILABLE IN BOOKSTORES THIS COMING WEEK!!! For those in the Western United States, you will be able to see a full lunar eclipse just before dawn this Shabbos! Chazal tell us in Sukkah (quoted by Rashi in Bereishis) that eclipses are ominous signs. I have often been asked whether this is true with regard to contemporary times because we know how to predict eclipses. My answer has always been, "Yes." Even amongst the other ancient civilizations we find the ability to predict eclipses. The ability to predict eclipses was known as far back as the time of the Chaldeans. Even the Babylonians and Greeks were also very familiar with the necessary calculations. The calculation required is knowledge of the Saros Cycle. The Saros Cycle is a duration of 18 years, 11 days and 8 hours. In each cycle, one will have eclipses at the same intervals as the one that preceded it. Every three cycles will have an eclipse at the same approximate location relative to Earth. In fact, in the early 1900's an ancient Greek shipwreck was discovered. One of the items found was something that became known as the Antikythera Device (named for the location of the wreck). Its gearwork was so intricate that scientists were astounded. Something like this should not have been able to have been made in the time period this ship went down (approximately 100 years prior to the Churban Bayis Sheini). Not only was it clear that it had been made, it was clear that many prototypes had had to have been made prior to it, because this one was perfected. After much analysis, it became clear that the device was an ancient "calculator". It would display the movement of the Sun, Moon, stars and planets. It also would show when the next eclipse would happen. This is more proof that they were able to calculate eclipses. They had even put the calculations into machines to do the dirty work for them. When Chazal made their statement, eclipses were already predictable events. If so, how could an eclipse be an ominous sign? It seems that the answer is that when Hashem created the world He placed in it times that are naturally times of judgment (similar to Rosh Hashana). It was through His mercy that He shows us (and we can even predict) when these times will be, so the affected parties can repent. THE BOOK (BEING PUBLISHED BY ISRAEL BOOK SHOP), THE SECRETS OF THE STARS, WILL BE IN STORES NEXT WEEK!!! KEEP YOUR EYES OPEN! Did Yaakov Leave the Solar System? After Yaakov Avinu fled Lavan's house, Lavan chased after Yaakov. When the two met up, Lavan says to Yaakov that had Yaakov informed him that he was leaving then Lavan would have made a going away procession complete with joy, song, drum, and lyre! (See Bereishis 31:27) I find it very interesting that Lavan specified drum and lyre as the instruments of choice. As such, the instruments Lavan specified correspond to Jupiter (drum) and Saturn (lyre). It is of note that these correspond to the last objects of the solar system prior to entering the sphere of the regular stars. The regular stars are divided into constellations and the primary ones are the twelve constellations of the zodiac. Numerous statements of Chazal compare these twelve constellations to the twelve shevatim. (See Bamidbar Rabbah 13, for example). Although only eleven of these twelve were born at the time Yaakov fled Lavan's house, perhaps, Lavan was saying that had he known Yaakov was going to leave because the shevatim were almost complete then he would have sent him off appropriately. How better to display this send off than by showing that Yaakov was on the cusp of having the twelve shevatim! By celebrating with the last two objects of the solar system, Lavan would be showing how Yaakov was on the cusp of transcending this realm and completing the shevatim who correspond to the next sphere, the eighth. There are several chapters in my upcoming book from Israel Book Shop, The Secrets of the Stars that focus on the correlation between the shevatim and the zodiac. Keep your eyes open because it should be in stores in about a week and a half. As mentioned in the last post, this Sunday is Rosh Chodesh! We will be beginning the month of Kislev. Every month has its mazal and the mazal of Kislev is Keshes, Sagittarius. Another aspect why Keshes is associated with Kislev is that the root of the word Keshes is "KSL" which also refers to Kesil, another name for Orion/Sirius. (See Torah Sheliemah Miluim Parshas Bo 177) It is during this month that this bright constellation/star rises and therefore the entire mazal is called by its name. An interesting fact is that that makes this the only month that the name of the mazal is based on a constellation other than the zodiacal one that is the mazal itself. I would love to hear if anyone has any suggestions why this is the case (other than the obvious "because Sirius is the brightest star in the sky). I finally have more of a timeline for when The Secrets of the Stars will be available!!! It is at the printer now and in a week and a half should be at the publisher. The subsequent week it should be in bookstores! That means that it will hopefully be in stores just in time for Chanukkah! So please keep your eyes open and let's hope it will be a mazaldikke sha'a!!! Just like a map of the United States is subdivided into individual states, the entirety of the night sky is mapped out and divided. In ancient times the sky was subdivided into forty-eight distinct regions called constellations. Twelve of these had significant status because they are in the portion of the sky that the sun crosses in a daily basis. These are called the twelve mazalos (T'leh, Shor, Teomim, etc. ), or the constellations of the zodiac (Aries, Taurus, Gemini, etc.). The other thirty-six occupy the other parts of the night sky. (Ibn Ezra, Reishis Chachmah 1) Interestingly the total is forty-eight, as mentioned above, and the gematria of the word kochav is also forty-eight! There are numerous midrashim that compare the twelve shevatim to the twelve mazalos. (See Bamidbar Rabbah 13) The question one may ask is, "What, if anything, is symbolic of the other thirty-six. Perhaps, the answer can be found by looking at the children of Avraham Avinu. Avraham's primary descendants equal forty-eight in total. Of these, twelve are the twelve shevatim, and the other thirty-six are the primary other offspring. All of these offspring became great nations as we will discuss shortly. While the offspring of Yishmael and Eisav are easy to count, how one delineates only ten for Keturah is a bit confusing because the parsha lists fewer than ten actual children and more than ten when all the generations listed are mentioned. The following seems to be the method described by Tosefos Shantz. The first six are: Zimran, Yakshan, Medan, Midyan, Yishbak, and Shuach. (Bereishis 25:2) Tosefos Shantz seems to be of the opinion that the listed firstborns of these original six do not count as extra because they are considered to replace their fathers and did not form a new nation. The other grandchildren mentioned are considered to add to the greater number. If the Torah listed them, then presumably they became great nations and each nation that came from Avraham is recognized as another constellation in the sky. Thus, Yakshan has two children mentioned; Sheva and Dedan. (Bereishis 25:3) Sheva replaces his father so the total is still six, but Dedan should presumably add to the count and now we arrive at a total of seven. Midyan had five children: Aiphah, Aipher, Chanoch, Avidah, and Elda'ah. (Bereishis 25:4) Aiphah replaces his father leaving us the younger four to add to the count. No other offspring are mentioned, other than three of the next generation born to Dedan. The problem is clear to see, though. The total from the paragraph above is eleven and there should only be ten! Who is extra? Dedan is clearly the extra number. It is quite obvious that Tosefos Shantz must be of the same opinion as Onkelos. The pasuk mentions that Dedan sired Ashurim, Letushim, and Leumim. (Bereishis 25:3) Onkelos, however, does not understand these to be names of individuals who subsequently became nations. Rather, he translates these as being descriptive words for non-descript nomadic tribes. Since no great nation came from Dedan he is not counted in the total and we have our thirty-six! Avraham was promised by Hashem in a few places that his children would be like the stars of the heaven. Most attribute this characteristic to Bnei Yisrael. However, from the above it is clear that all of Avraham's graet descendants find their place amongst the stellar objects. Bnei Yisrael might be the primary ones, but the other thirty-six are great in their own right. They too have descending from this great man! Also, keep an eye out for my new book within the next month, The Secrets of the Stars. In the beginning of the parsha we are immediately informed that Sarah Imeinu was 127 years old upon her passing. There are numerous midrashic statements that focus on the fact that all of her years were lived to the fullest. Sarah maximized her time in this world and Chazal teach that these 127 years are an expression of completion. Similarly, we find that Achashveirosh ruled over 127 countries and we are taught that this is a way to express his dominion over the entire world. In fact, there are even midrashim that compare Sarah to Queen Esther based on this number. What about the number 127 connotes the idea of a completed unit? Perhaps the answer to this question lies in the night sky. There are 12 mazalos, constellations, that each are considered to rule over one month. Most people are somewhat familiar with this concept, even if they do not understand the dynamic by which each month is designated to its mazal. Additionally, Chazal discuss the fact that there are seven objects in the sky that move independent of the stars. These objects are: the sun, moon, Mercury, Venus, Mars, Jupiter, and Saturn. Every hour is considered to be under the rule of one of these planets and each of the seven days of the week is also designated as under the influence of one of these seven objects. Besides the hourly dominance, these objects can always be found in one of the 12 mazalos and the combination of mazal and object project an influence to this world. Chazal express all of nature somehow being showered upon us from the metaphysical heavens through these 12 mazalos and 7 objects. As such, all of nature and all the happenings of this world come through these items. Thus, it is clear how the number 127 shows completion. 127 is the number 12 and 7 put together (not added, but written side by side). 127 shows the epitome of a complete existence. Sarah was able to live such a full life that her years are able to be expressed by this very symbolic number. As mentioned last week, keep your eye's to the skies, or at least to the bookstores. The Secrets of the Stars should be going ot print this week and hopefully we be in stores in a month or so! Firstly, let me let everyone know that, b"H, the book is finally almost ready to go to print! The cover and typesetting have been completed and we are just going through it very quickly to make sure that everything is in order. Keep your eyes open for it, hopefully it should be in stores in about a month or so!!! In the Parsha we find that Avraham Avinu is informed by Hashem that his children will be comparable to the stars. Many commentators explain this to be a description of the characteristics of the children and not that it represents the number of offspring. Based on Rav Yehonasan Eibshitz's explanation I would like to offer the following short explanation. Unlike planets which reflect the light of the sun, stars produce their own light. Due to processes of nuclear fusion happening in the center of the star, the entire star is illuminated and radiates brilliantly. So too, every member of Klal Yisrael shines in his own right. He is not shining because of "reflected light" from others, rather, he has a brilliant core that can brighten even the darkest places. 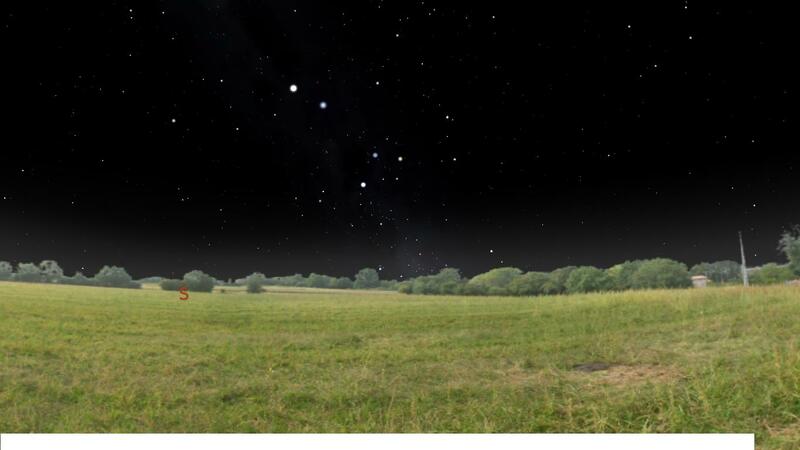 Additionally, from our perspective many of the stars are not visible. Many of them are too far from us and we are unable to perceive their light. Others have interstellar dust and debris that block their light from reaching us. This, too, is expressive of the inner beauty of the nishamos of Klal Yisrael. Even if they have strayed very far away and their glory cannot be seen on the outside, or if they have external inhibitions which do not allow for their light to be seen on the outside; nevertheless, their inner beauty is present and shines! download a free copy of it here. ". [כוכב אחד לשבעים שנה עולה ומתעה את (הספינות) [הספנים] ואמרתי שמא יעלה ויתעה [אותנו"
It is common knowledge that ancient sailors were extremely dependent on astronomical knowledge in order to navigate. Without modern equipment such as GPS devices, the most accurate method of determining one’s position is based on the stellar positions. The stars move through the sky in very specific patterns. Some are always in the north and others in the south. With this knowledge, sailors can navigate the seas. Additionally, apparent celestial position changes based on latitude, so one can determine his latitude with extreme precision based on how high specific stars are from the horizon. Thus, if a “tricky” star were to “appear” it could be disastrous to the sailors because it could send them way off course. Rashi explains that the celestial object mentioned refers to a star that rises once every seventy years. 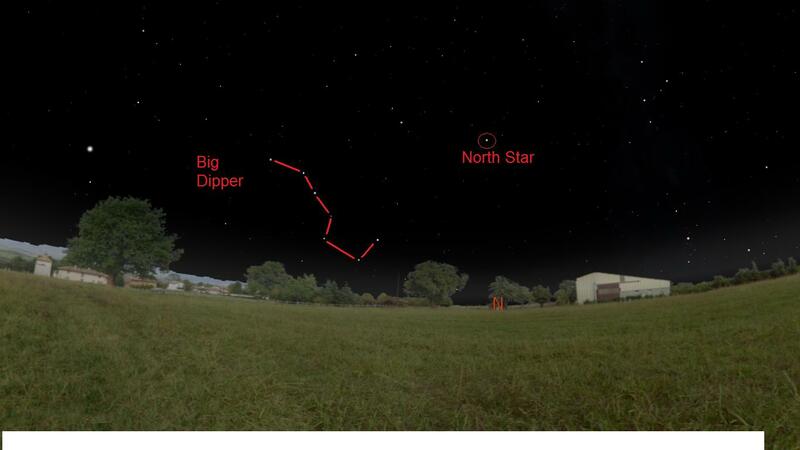 This star sometimes appears in the north and sometimes in the south. If the sailor, unaware of this star’s nature, were to see it in the north at the beginning of the journey and later, unbeknownst to him, it would change position then he would think he was traveling in one direction but would actually be going in the opposite direction. Rebbi Yehoshua was nervous that this would occur to them while they were on their journey so he packed extra durable food. While much has been written throughout the ages expressing the symbolic meaning behind this passage, it is very unclear as to the identity of this “star” in the plain meaning of the text. “Regular” stars have set positions in the sky and cannot change from north to south, so it seems unlikely that it could be a regular star. The planets’ orbits do not have them rising once every seventy years and switching from north to south during that time so they are also not viable options. At first glance one may think that this star is a comet. Comets move across the sky and could theoretically be good candidates for what is being discussed. There is only one comet that has a short orbital period that is easily seen by the naked eye and interestingly it happens to appear once every 75-76 years, Comet Halley (Halley’s Comet). 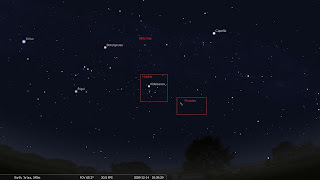 This comet has been recorded by ancient astronomers at least as far back as 240 BCE, so it had been sighted prior to the time of Rebbi Yehoshua. If Rebbi Yehoshua was rounding the 75-76 years and referencing it as 70, then perhaps he was discussing this comet. This would be exceptionally fantastic because history gives credit to Edmund Halley as figuring out that the various comets recorded throughout history at 75-76 year intervals were all the same object and that this is that comet’s periodicity was 75-76 years. This “discovery” would not occur until over 1,500 years after Rebbi Yehoshua in the year 1705 CE!!! There is one major problem with this assertion, though. The only arrival of Comet Halley during Rebbi Yehoshua’s lifetime would have been in 66 CE. Rabban Gamliel would have been an extremely young child at this time and in the ensuing parts of the story he is displayed as being older. (See Rashash, Pesachim 74a) Additionally, it would seem that he already achieved the title Rabban meaning that he was the Nasi and that did not happen until after the destruction of the second Beis Hamikdash which occurred in 70 CE. (See Gittin 56b; also see Seder Hadoros’ biographical synopsis of Rebbi Zeira for a discussion of the usage of titles in the Gemara indicating that the individual had already achieved that status at the time being referenced by the Gemara.) Thus, this story had to have happened well after Comet Halley’s appearance in 66 CE. To assert that Rebbi Yehoshua did not remember that the last appearance was in 66 CE and, therefore, was nervous that it would appear during the journey; or that he thought it would come sooner than 75 years this particular instance is unlikely. Rebbi Yehoshua mentions the 70 year interval in his statement; thereby displaying that he was aware of the orbital period. If he was aware of this fact, then it is unreasonable that he would not have remembered the last magnificent appearance of this comet which would have happened in his own lifetime and that he felt its periodicity was not subject to change. If this is the case, what then could this “star” be? We have ruled out regular stars, planets, and comets already, so what is left to be considered? Perhaps, Rebbi Yehoshua was referring to a new star appearing out of nowhere. Although uncommon, this has happened in extremely rare instances. When this has occurred it has not been that a brand new star was formed, rather, there was a star that was too faint to be seen by the naked eye which then brightened and became visible. At the end of large stars’ lives they experience an event called a supernova. Supernovae are essentially massive explosions during which time tremendous energy and radiance is emitted from dying stars. Supernovae that have become visible to the naked eye have occurred only a handful of times through recorded history.Over several months, these new stars then faded away and disappeared, only to be seen via telescope. Interestingly, the very first known one recorded in history happened in 185 CE. This is now referred to as SN 185 and made the news this week as observations by NASA’s Spitzer and WISE telescopes uncovered many more of the dynamics of how this supernova unfolded. Although Rebbi Yehoshua did not live until 185 CE, he would certainly have been alive and well 70 years prior to this and could easily have been aboard a ship with Rabban Gamliel in 115 CE. Keep in mind that the Gemara does not state that the actual reason for the delay of journey was because the star actually appeared, just that that was the reason Rebbi Yehoshua was prepared for such a delay. Supernovae are very unpredictable, perhaps leaving Rebbi Yehoshua doubting his accuracy and leaving a margin of error. In fact, if Rebbi Yehoshua was able to predict this one, his seventy year margin of error is far more accurate than even today’s predictions for supernovae!!! If this is the case, it is also astounding because even the ability to predict or understand supernovae is not considered to be known by man until the twentieth century and as previously mentioned, the accuracy with which Rebbi Yehoshua predicted this one is still not attainable by contemporary scientists!!! The question then arises, why could such a star cause such confusion as to mislead a sailor. The rest of the sky would still have the same appearance and the sailor would just see an extra star, but would not head in the wrong direction. 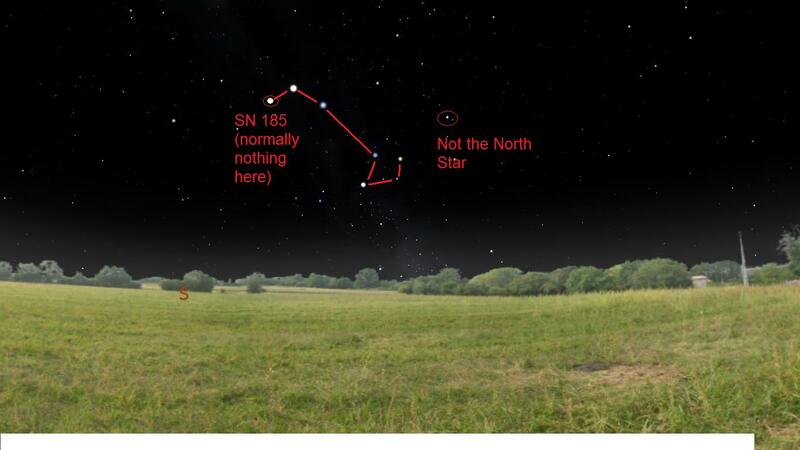 Upon further review, however, one can see that SN 185 may have actually been a little more confusing than just appearing as an additional star. The North Star and nearby Big Dipper are integral to celestial navigation as they are always positioned in the north. SN 185 occurred in the ancient constellation of Centaurus. In ancient times most people were not as familiar with those southern constellations since they can only be seen from more southerly parts of Earth. The area of Centaurus where SN 185 appeared would normally not be able to be confused with the Big Dipper and North Star, however, because they appear to have different configurations. The difference in configuration seems so apparent, but in fact is only so striking because this region of Centaurus is missing one bright star that appears in the Big Dipper. SN 185 flared up and appeared in that region so it is possible that a sailor would have glanced to the south quickly and mistaken this constellation for the Big Dipper! As we approach Sukkos, I thought I would share another quick thought. We leave our more permanent houses this time of year in order to dwell for seven days in our temporary Sukkos. Thus, we commemorate that Hashem protected us in "Sukkos" throughout our travels in the wilderness. Keep in mind that solar activity is integral to Sukkah design as one of the fundamental features of a Sukkah must be that there is more shade provided by the Schach than there is sunlight. Additionally, stellar activity plays somewhat of a role as it is appropriate for one to be able to gaze at the stars through the Schach. As Yom Tov approaches and things become more and more hectic, I figured I would just post a quick thought. Yom Kippur is called Shabbos Shabbason, the ultimate Shabbos. Shabbos is the completion of the week and one would think that Yom Kippur should demonstrate some form of completion that seems more palpable than just being the end of the Aseres Yemei Teshuva. Perhaps, upon further review one can actually see this demonstrated based on the date upon which Yom Kippur falls. Yom Kippur is the tenth day of the seventh month. Our sages have historically described the celestial movements as occurring through spheres that encircle the world. The first seven contain the naked eye celestial objects that move independent of the regular stars, the "planets." These are the sun, moon, Mercury, Venus, Mars, Jupiter, and Saturn. The eighth sphere contains the regular stars and the ninth is the outer wheel that sets the inner eight into proper motion. The Master of the universe is described allegorically as being in a tenth sphere, one not physical nor comprehensible via human rationale, and He is "turning the ninth wheel with precision" to ensure that the inner workings happen appropriately. The first seven of these wheels, the planets find their completion with the number seven and this is expressed in the seven day week showing a demonstrable completion. Shabbos' completion displays the first element of this completed universe, that of the planets. Yom Kippur shows the entire universe being complete. It is the tenth day, ten for the full ten spheres, of the seventh month, seven for the planets. Gmar Chasima Tova. The kabbalsitic sources also appropriate the above mentioned spheres with the kabbalistiv sephiros which are also expressed in sevens and tens. The regulation of our calendar can be intricate and most people are not very familiar with its ins and outs. What is surprising to see is that there are some respectable sources from the times of the Geonim and Rishonim that indicate that there may have actually been a cover up, or conspiracy, to keep this information from the masses. The necessity of secrecy was integral to the preservation of our precious calendar and as we shall see, it is possible that much information was even kept hidden from many of the most prominent sages of the Mishna. A fascinating point to note is that in Rabbeinu Bacheye's discussion he utilizes this approach to interpret a debate that Rabban Gamliel had with Rebbi Yehoshua. The debate essentially was based on the principle that Rabban Gamliel was sanctifying days upon which Rebbi Yehoshua felt the new moon could not be sighted. The way it is presented it comes out that Rabban Gamliel was of the above opinion and Rebbi Yehoshua rejected it. Thus, Rabban Gamliel would actually have been aware that the moon could not be sighted but felt that his calculations were the primary method of sanctifying the moon and so long as based on his calculations the calendar could operate then he was authorized to sanctify the moon. To support his claim Rabban Gamliel mentioned that this was the tradition in his family. (See Rabbeinu Bacheye's version of the discussion as his text had this aspect clearly stated by Rabban Gamliel. The version found in our text is not as clear.) This same concept can be seen by Rebbi (Rebbi Yehuda Hanasi) when he makes a similar claim about having a familial tradition. (Rosh Hashana 25a) Interestingly, both Rabban Gamliel and Rebbi were from the same family, Rabban Gamliel was Rebbi's grandfather. Interestingly, we find that Rabban Yochanan ben Zakkai once had a dilemma when witnesses arrived late in the day on Rosh Hashana and the song for the korbon was either omitted or said in error. (Rosh Hashana 30b) One may ask, "If the nasi was charged with regulating the calendar and witnesses are irrelevant, then how could the nasi, Rabban Yochanan ben Zakkai have erred?" The answer is obvious. Rabban Yochanan ben Zakkai was only a temp. Rabban Shimon ben Gamliel the Elder had been murdered in a vicious fashion by the Romans. His son Rabban Gamliel, mentioned above, was taken into hiding. The Jews had Rabban Yochanan ben Zakkai fill in until the position would be able to be returned to Rabban Gamliel. Not being from the family, Rabban Yochanan ben Zakkai may have been unaware of the tradition. Even more interesting is that one of his primary students was none other than Rebbi Yehoshua, the one who later argued this point with Rabban Gamliel. I know this post is a bit long, but I would like to end off with something that makes the above seem even more fascinating. Rav is quoted as stating that from the times of Ezra Elul never had 30 days. (Rosh Hashana 19b) Although many have theorized why this could be true, there is no scientific reason why the lunation cycles should have caused this to be true. Shortly after Rav's time we find that both Levi and Ulah discuss Elul in their time sometimes having 30 days. (Rosh Hashana 21a and 20a) If the reason that Elul was consistently 29 days because of calendrical manipulation then one does not need a scientific explanation. The reason why this might be the case is that it was necessary to have Elul consistently either 29 or 30 days. That way, those in the Diaspora would know when to observe Rosh Hashana and Yom Kippur. For whatever reason they picked 29 and as such the Babylonians could assume that Rosh Hashana was always on the 30th day from Rosh Chodesh Elul. (See Rosh Hashana 31a) Although it is possible Rav stated, "Since the times of Ezra," because there was no record of times prior to Ezra, if the above is true there is a reason why this aspect of the calendar would have only been instated during Ezra's time. Prior to Ezra's ascent to Eretz Yisrael the masses of Jews lived together, first in Eretz Yisrael and then in Bavel. When Ezra ascended the beis din charged with setting the calendar was in Eretz Yisrael, but the masses lived in Bavel, thus it was necessary for the signifcant community in Bavel to know when Rosh Hashana and Yom Kippur were. Why then during Levi and Ulah's time did things cease to operate in this fashion? Perhaps, for the same reason that the song of the korbon was errant in the days of Rabban Yochanan ben Zakkai. During Levi and Ulah's time the nasi was Rabban Gamliel IV. During his tenure the Romans abolished the Sanhedrin and it is probable that his office did not operate properly. I thought that I would share the following beautiful thought that has relevance to this week's Haftarah. Monthly, when we sanctify the new moon we state, "To the moon He said that it should renew itself as a crown of splendor for those borne from the womb, those who are destined to renew themselves like it, etc." This sentence is a reference to the Jewish nation and is discussing the renewal that we will experience in the times of Mashiach. Rav Yehonasan Eibshitz zt"l provides the following elucidation of this by discussing the monthly lunar motion and luminescence. The moon orbits Earth every month. During this time it appears to shine upon the Earth while it waxes and wanes. In reality, the moon has no light of its own, it merely reflects sunlight. Additionally, the moon is not really growing or shrinking, rather, the angle that it is relative to Earth only allows us to see a portion of its sunlit side. In fact, half of the moon (what we would refer to as a full moon) is always fully illuminated; it is we that are unable to see this throughout most of the month. When the moon's light appears to be completely lost what is really happening is that it is between us and the sun. Therefore, the sunlight is reflected back to the direction of the sun and none of it is able to be perceived by those of us here. Rav Eibshtiz then applies this information to Klal Yisrael. Klal Yisrael has a beautiful shine and radiance that is always permeating within us. The reason why this is not always perceptible is because we have too many sins. If we begin to distance ourselves from our sins then our shine will begin to be noticed. Similarly, as the moon distances itself from the sun its light can be seen. In the future we will be renewed and no longer have our ups and downs of waxing and waning. Thus, the renewal itself will be comparable to the moon, but once it is complete the lunar motion will no longer represent us. We will no longer wane, rather, there will be no cessation to our shining. This is why this week's Haftarah states, "The sun will no longer be for you the light of day and the moon will not illuminate for you; Hashem will be an eternal light for you, etc." (Yeshaya 60:19) We will no longer be compared to the moon whose light is reflected from the sun thereby causing it not only to grow but to shrink. We will have the light of Hashem bestowed upon and its glory will not cease. May we merit these days in the near future! The Gemara had maintained that for calculations of the beginnings of the seasons, tekufos, we utilize the approach that the world was created in Nissan and therefore the system of calculation of these times has its beginning in Nissan in the year of Creation. Rashi references the calculations utilized for this and displays how it reflects a Nissan beginning, but then Rashi adds an extra point. He states that according to Rebbi Yehoshua the first Molad (calculated lunar conjunction used for the purposes of establishing Rosh Chodesh) of the year of Creation was 4:9:642 (this format will be used throughout the rest of this post and is the classic way of displaying Molad calculations. The first number is the day of the week with 1 being Sunday, 2 Monday, etc. The second number is the number of hours into the day that the Molad occurred with the beginning of the day recorded as sunset. The third number is the amount of Chalakim into the hour. One Chelek is 3 1/3 seconds and 1080 Chalakim equal one hour. Thus, the system is Day:Hour:Chalakim.) The first question one must ask is where did Rashi get this figure from? As we will see, the apparent answer seems to create even more questions. Earlier Tosefos had provided a lengthy discussion of Molad calculations. (See Tosefos R"H 8a-8b) In it they stated that since Adam was created on Friday, 1 Tishrei, we can deduce when the original Molad was. They cite from other talmudic sources and therefore assert that Adam sanctified the new moon on the first day he was created and that he did so in the first moment of the 21st hour of the day (initially Tosefos was discussing hours as having started at sunrise so they referred to this as the beginning of the 9th hour, shortly after Tosefos converted this number into the Molad system which has the hours starting from sunset the night before). Since the calculated conjunction is six hours prior to the moment of sanctification that would mean that the Molad was the beginning of the 15th hour. (In a much earlier post I discussed why this six hour difference between lunar conjunction and first sighting is not problematic with actual observations and science which maintain that a more accurate amount of time would be closer to 15 hours. For more about this click here.) Tosefos then state that for Molad times when the Molad occurs at the exact beginning of an hour we refer to it as the end of the hour just completed. Therefore, Tosefos maintain that the Molad was at 6:14:0. Tosefos then continue that our system incorporates into it the "year" prior to Creation. Because this "year" precedes Creation most of it did not exist (although Tosefos state that since Adam was created on 1 Tishrei that means that the first day of Creation was 25 Elul, so there were several days of this "nonexistent year" that existed) and is primarily a mathematical concept for the purposes of our systems of calculation. This "year" is referred to as Shnas Tohu, the Year of Desolation. Tosefos point out that when we calculate the Molad of Nissan of Shnas Tohu we find that it was 4:9:642. This can be done by taking 29:12:793 (the amount of time between two Molads) and multiplying by 6 for the six months between Nissan and Tishrei. Then one need only see how many days:hours:Chalakim are left over to see what day:hour:Chelek the Molad of Nissan happened on. (If we multiply the 29 days of every Molad by the six months between Nissan and Tishrei we get 174. 174 does not divide evenly by 7 for the days of the week, 174/7 = 24R6, which means we have a six day difference. Take the 12 hours of every month and multiply by six and we 3 days. Add these three days to the 6 we had left over from the calculation of days (of 29) and we are left with 9. Since every week has 7 days one can subtract the 7 from the 9 and see that as of now the difference in day of week between the Nissan Molad and that of Tishrei is 2 days. Now, if we multiply the 793 Chalakim by the six months that passed between Nissan and Tishrei we get 4,758. Since there are 1,080 Chalakim in an hour that means that the Chalakim added up to four hours and 438 Chalakim. Thus, the Nissan Molad was 2:4:438 prior to the Tishrei Molad. Since the Tishrei Molad was 6:14:0 that means that the Nissan Molad was 4:9:642. (In order to subtract the 438 Chalakim from the zero you can "borrow" one hour from the 14 and put it as 1080 in the Chalakim section, thus, 6:14:0 = 6:13:1080). Interestingly, this is Rashi's number!!! The major question that arises is that Rashi seems to be discussing the opinion of Rebbi Yehoshua who maintains that the world was created in Nissan and Tosefos arrived at this calculation based on the fact that Adam was created on 1 Tishrei. Based on those calculations, Rashi should have stated that the Molad of the year of Creation was 6:14:0 in Nissan and the Tishrei prior to this, Shnas Tohu, was 4:9:642!!! Perhaps the answer could be that the Gemara never stated that the Molad is actually calculated based on Rebbi Yehoshua's opinion, it just stated that the seasons, Tekufos, were calculated as such. According to Rebbi Yehoshua personally the Molad in that Nissan of Creation was, in fact, 6:14:0 and it was the Tishrei prior that was 4:9:642. Perhaps Rashi was adding a fact and not explaining the text of the Gemara when he added the point of the Molad. Keep in mind again that the Molad issue was not discussed in the text of the Gemara, just the Tekufos. Perhaps, the Molad follows Rebbi Eliezer's opinion and are calculated based on the assumption that Adam was created in Tishrei. However, since we utilize Rebbi Yehoshua's opinion for other matters that means that we use a system that starts prior to Rebbi Eliezer's system of Molads. Thus, Rashi is actually saying that the Molad of the Nissan of Rebbi Yehoshua would be calculated by us as 4:9:642 since we use Rebbi Eliezer's approach and are merely extending it backwards to see what he would have said for the time when Rebbi Yehoshua maintained the world existed. This week we began the month of Elul. Elul is considered to be the time when we prepare ourselves to stand in judgment before Hashem on Rosh Hashana and Yom Kippur. Interestingly, a somewhat uncommon event will occur this Shabbos. As we know, the moon is significantly closer to us than any of the stars and planets. As such, every so often the moon's path has it crossing in front of another celestial object. When this happens, the celestial object gets "covered" by the moon and is invisible until the moon passes. When the moon does this to the sun it is called an eclipse. When this event occurs to another object it is generally referred to as an occultation. This Shabbos the moon will occult a fairly bright star, Dschubba (Delta Scorpii). This will be the brightest star occulted this year. Dschubba is in the constellation Scorpius and is envisioned as the forehead of the this celestial scorpion. In rabbinic literature the moon is often times symbolic of Klal Yisrael and Scorpius of the painful verdict of judgment. (See Midrash Tehillim 22 and Tanchuma Haazinu 1) The constellation of Scorpius is also associated with the Satan and it is he that tries to prosecute us during these holy days. However, we are able to find favor in Hashem's "eyes" and He allows for repentance especially during this time period. In fact, on Yom Kippur the Satan is rendered powerless. May the symbolism of the moon's blotting out the light of Scorpius also come true as Klal Yisrael "blots" out and renders the Satan powerless as we find favor in Hashem's "eyes" with true repentance. For more information regarding when one can see this occultation click here. Also, if anyone is interested in reading up on the halachos associated with astrology, magic, superstition, necromancy, Molech, divination, charms, and the like click here. These mitzvos can be found in this week's Parsha and The Rosh's son Rebbi Yehuda characterized them as being fundamentals upon which the entire Torah is based. He also declared that violations of them are why the exile has persisted. The above reading also attempts to discuss why this is the case. Towards the end of the Parsha we are informed that when one visits the Holy Temple and offers his sacrifices on the holidays that he should not leave the city that day, rather, he should stay for at least one evening. (Devarim 16:7) A quick and interesting point about this mitzvah can be seen in the commentary offered by Rabbeinu Bachye. Pesach, stay for a day, and leave the next morning to go back to the Holy Temple for Shavuos! This can be seen from the fact that we are taught that upon leaving the Temple one may go back to "your" place of dwelling, see Devarim 16:7. This is clearly not the case food someone living in the Diaspora. Either the Torah does not have such compassion for him since he should be in Eretz Yisrael. Or, since mitzvos were really given to be performed in Eretz Yisrael, as the Ramban mentions in several places, the nature of the mitzvah reflects this region (as clearly stated by the Ramban, this does not give one outside of Eretz Yisrael an excuse not to perform mitzvos). Or, the mitzvah to ascend for the holidays does not apply to those living outside of Eretz Yisrael. This last point is debated by many Acharonim. If anybody has a suggestion if there is significance to the fact that after returning from his Shavuos pilgrimage this same individual will be home just in time for Rosh Chodesh Tammuz, I would love to hear that. "Behold they will wear out like a garment; Ash (moth) will devour them." (Yeshaya 50:9) Ash is also the name of Ursa Major, the constellation that has the recognizable Big Dipper in it. In rabbinic literature it is also displayed as the constellation that the others appear to rotate around, thus, it appears that it is the center of the "wheels of the universe" and the point that seems to have all else move around it. This is significant since, to people in ancient times, this was symbolic of the item that appeared to keep the universe in balance and make sure that things continued properly. Here it could signify that through time and natural events the adversaries of Hashem will wither away and be forgotten. "Though he may have walked in darkness with no Nogah light for himself, etc." (Ibid. 50:10) Nogah also refers to Venus and it is seen as the brightest of all stars. It rises often times just before dawn and is known as the Morning Star. As such, the one who fears Hashem, the subject in this verse, has walked without a guiding light, nor has he felt the dawn to his darkness was coming since he never witnessed a Morning Star. "Behold all of you are igniters of fire, kindlers of Zikos (sparks), go in the flame of your fire, and in the Zikos (sparks) you have lit, etc." (Yeshaya 50:11) Zikos also can refer to either a comet or a shooting star. If it is intended to refer to shooting stars then it could mean that those who feared Hashem may have felt small and insignificant, but with their light they produced was brilliant. A shooting star is not actually a star, but a speck of dust that burns up as it enters the atmosphere. If it means a comet then just as a comet has its own orbit and seems to be a lonely celestial object, so too those that feared Hashem were small in comparison to those that did not. But they need to follow in the path they have blazed. "Listen to me, O pursuers of Tzedek (righteousness), etc." (Yeshaya 51:1) Tzedek also means Jupiter. Jupiter is the largest of the planets and righteousness has been attributed to it historically by Chazal. As such, we refer to this planet as the object the other celestial objects were searching for. Interestingly, the above verses are all one immediately after the other. This week's Haftarah begins the seven of Haftaros of consolation. All can be found in Sefer Yeshaya and they are read between Tisha B'Av and Rosh Hashana as a way to reconnect and reestablish a loving relationship with Hashem. It has fascinated me that in the words of the Nevi'im one can sometimes see language that has a double meaning and could also be referring to the stars. While one could counter that some of this is coincidental, there is so much of this encrypted language, especially in Yeshaya, that it is hard to discount. This is especially since allusions to astronomical/astrological concepts and objects was something that was common back in those days. "[He is] like a shepherd who grazes his flock, who gathers the Tela'im (lambs) in his arm, etc." (Yeshaya 40:11) T'leh (pl. Tela'im) can also refer to Aries, the mazal of the month of Nissan which is the month which Hashem took his "sheep" to be His when He redeemed them from Egypt at the time of the Exodus. "Who measured the waters in His palm, gauged the Heavens with a span, measured in a huge vessel the dust of the earth, and weighed mountains with a scale and hills with a Moznayim (balance)." (Yeshaya 40:12) Moznayim is the mazal of the month of Tishrei and connotes the judgment that is enacted by Hashem at that time.The scrutiny of this judgment exacted at all of the universe from the greatest to the smallest of Creation is His judgment and that concept seems consistent with the theme of this verse. "Behold, all the nations are like a drop from a D'li (bucket) and are reckoned like the dust rubbing of a Moznayim (balance), etc." (Yeshaya 40:15) The Ibn Ezra teaches that D'li which is the mazal for the month of Shvat, is also the mazal that symbolizes Klal Yisrael. As such, it is befitting to mention that the other nations are like but a drop from this "bucket" and that they will be rendered like dust from Moznayim which as stated before is a display of Hashem's judgment. Meaning all the nations that did harm to us throughout the exile will be brought to justice. Next week's Haftarah has a lot more than just these. Hopefully I will get a chance to post them for then. With summer in full force and Tisha B'Av having just passed, I was reminded of a post from last year about Tisha B'Av that got me thinking. Last year I focused on the fact that many translations of Kinos seem to mistranslate a line from Kinah 37. The Kinah mentions how Orion seems to only rise in the month of Tammuz from Eretz Yisrael's vantage point. Click here for an depth discussion as to what the correct translation is and why the more common Kinos seem to have not translated this phrase properly. I started thinking how last year I was so focused on the technical translation that for some reason I did not pay that much attention as to why this fact might be pertinent. Who really cares about Orion's rising? Why is it important that it is during Tammuz? After thinking about this for a few minutes I thought that perhaps the author was portraying the fact that Orion (also known as Kesil, "The Fool") only has gained power in the beginning of the summer. The invading armies were succesful at breaching the walls of Yerushalayim in Tammuz, just like Orion seems to come to strength in this month. 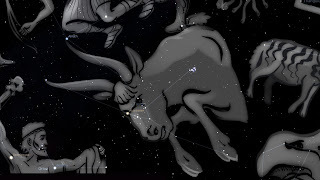 Recently I posted some of the Rema's statements that discuss how the constellation Leo (the lion of the month of Av) was displayed in the Beis HaMikdash and how it was replaced with Canis Major (Orion's hunting dog in the sky). It seems that Av can be either displayed as Leo, the Lion of royalty, or as the dog of the fool, Orion. See here. Perhaps, the Kinah is teaching us that we must choose whether we want to act like royalty or like a fool. Interestingly, in the Kinah that precedes this one a mention of how the dogs dragged away the youth compared to lions can be found. With Tisha B'Av approaching, I thought that the following was appropriate. On Tisha B'Av we mourn the tragic loss of both Batei Mikdash as well as many other tragedies that have marred our past. Both Batei Mikdash were destroyed in this month of Av. The Rema points out that the sign of Av is Leo, the Lion. This is a month when royalty should be able to shine. The Beis HaMikdash, Chazal mention, was designed in such a fashion as to give the appearance like a lion. It was broader in the front of the building than it was in the back. Additionally, the fire on the Mizbeach was initially shaped like a lion. That which it took the shape of a dog in the second Beis HaMikdash is also reminiscent of a lion, says the Rema. There are 12 main mazalos and 36 other constellations in the sky. Each of the twelve rules over 3 of the others. 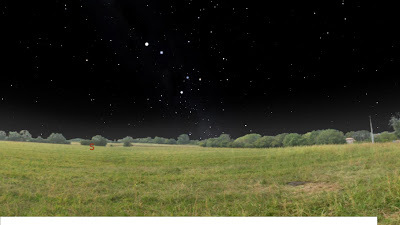 In Leo's domain is Canis Major which is depicted as a dog. Thus, Leo was represented on the Mizbeach in the second Beis HaMikdash, although a secondary figure was chosen to demonstrate that things were not the same as they had been in the first Beis HaMikdash. Due to our sins the decree was sealed that royalty be taken from us and the Beis HaMikdash was destroyed. This happened in Av to demonstrate that the appearance of royalty was no longer being demonstrated by the Jews. Rather, Nevuchadnetzar, described both in Pesukim and by Chazal as a lion, came into the Mikdash, symbolized by the lion, and destroyed it in the month of the lion. May we merit to witness the rebuilding of this holy temple very quickly! In an earlier post we discussed how the Levi'im represent the stars of the sky (see here). Interestingly enough, there are 48 cities that were given for the Levi'im to inheret in Eretz Yisrael as seen in this week's Parsha. There are also 48 ancient constellations that can be found in the sky. Another interesting point is that there are 7 ancient "planets": the sun, moon, Mercury, Venus, Mars, Jupiter, and Saturn. The other planets are not visible to the naked eye. There are six distinct Levitic cities that are designated as cities of refuge for those who have killed accidentally. You may ask, if I am trying to connect the Levi'im with celestial objects wouldn't I want to find 7 cities and not 6? Rav Yehonasan Eibshitz points out that of the seven ancient planets one is considered to symbolize murder and blood, Mars. As such, it is often left out of certain pure and holy ceremonies that have the other planets present. The Levi'im were the protectors of those that had accidentally harmed. They were charged with providing for this individual with safety and security (see Sefer HaChinuch to this mitzvah). As such, Mars has no place being represented. Now the connections are clearer. The 48 total cities are the 48 constellations. The 6 cities of refuge are 6 of the 7 planets, Mars was given the boot. We just read the הפטרה of פרשת פינחס which is a pretty rare occurrence. However, it is not the most rare. The exact frequencies of each rare הפטרה are discussed here. The numbers are based on a chart of the frequency of each type of year found here. However, there is one issue with the calculations. It assumes that whenever אחרי מות and קדושים are separate and קדושים is not a special פרשה, its הפטרה is read. However, as pointed out in R' Dovid Heber's שערי זמנים, this is not the custom, according to משנה ברורה. Rather, as long as the הפטרה of אחרי מות was not read for whatever reason, we read that in place of הפטרת קדושים. Therefore, the הפטרה of קדושים is only read when both אחרי מות and קדושים are not special פרשיות, thereby dropping the frequency under 6%! For more thorough details please see this excerpt from the ספר. As we fasted 17 Tammuz yet again, we have begun the mourning period known as "Bein Hametzarim" or "The Three Weeks." During this time it is customary for many to display signs of mourning and to reflect on the destruction of the Batei Mikdash. As the weeks progress the intensity of the mourning increases with the 9 days starting a much more severe expression of it. The week of Tisha B'Av is even more of a pronounced mourning time and Tisha B'Av itself is the ultimate display of public mourning. The Gemara in Bechoros (8b) discusses the debate that Rebbi Yehoshua ben Chananya had with the elders of Athens. The questions and answers posed from one to the other were in the form of riddles and part of the challenge was to understand what was being asked. At one point the elders of Athens brought two eggs before Rebbi Yehoshua and demanded that he tell them which had been laid by a black (dark feathered) chicken and which was laid by a white chicken. The Maharsha explains that the elders were bothered with the concept of "The Three Weeks." The Gemara earlier had stated that the incubation period of chicken is three weeks. The elders saw that there were two segments of three weeks in the Jewish calendar in which the Jewish people can achieve atonement. One is the three weeks beginning with Rosh Hashana and going until Hoshana Rabbah. This was understood by them as providing atonement as people focus on repentance during this time. As such they saw this as the white egg which will produce a white chick that came from a white chicken. Since white is symbolic with purity they were comparing this time period to a white chicken and the egg is symbolic of that which is being produced during this time period, purity. They understood that a white chick, a completely pure person, can emerge from such a pure time period. What they did not understand is how a black chicken can also have a white egg and a white chick come about. The Three Weeks are a time of mourning and destruction. It is a time of sadness and retribution for sin. They did not understand how this can produce a pure person. To this Rebbi Yehoshua ben Chananya showed them that Klal Yisrael gets cleansed in one of two ways. Either we repent and come close to Hashem, or through his punishments He directs us back to Him. Either way, the outcome can be a purified Klal Yisrael. May we merit to the transformation of these days of mourning into days of joy! This week marks a very special birthday! None other than planet Neptune. No, Neptune was not created on July 12, nor was that the date of its discovery, sort of. Every planet in our Solar System orbits the Sun. However, the time it takes for each planet to complete one full orbit is completely dependent on the distance between it and the Sun. Neptune is the farthest planet from the Sun (ever since they put Pluto in cherem) and this means that it has the longest orbit. It takes Neptune just under 165 (Earth) years for it to complete one of its own. Thus, in Neptunian years, this July 12 will mark the one year date since its discovery on September 23, 1846. Although it may not seem controversial in today's day and age to suggest that the planets Uranus and Neptune exist, this was a fairly big point of contention in earlier years. Chazal and many of the Rishonim (as well as other ancient societies) refer to there being seven "planets" that influence this world: the Sun, Moon, Mercury, Venus, Mars, Jupiter and Saturn. These are all the common objects that have their own perceived motion relative to the stars and are visible to the naked eye. Many mystical concepts reference this system of seven (including the sefiros) and when Uranus was discovered in 1781 by Sir William Herschel people seriously began to have serious questions with regards to these earlier systems. If the Rishonim mention that these seven bodies influence the Earth in a metaphysical, what should one now think now that there are more of these planets involved. Does the system need to be completely reworked? While some did not see abandoning this old system as problematic, others dedicated time and effort to show that the original system could incorporate these new concepts. Perhaps, the most famous is the Sefer HaBris from Vilna. He maintained that all the celestial objects are utilized by Hashem to shower His will upon our planet. However, some exert more influence than others. The seven visible planets exert the most force and were thus discussed directly by the earlier sources. The "invisible" ones were too distant and insignificant to affect this planet with any significance so they were not even discussed. "לקב איבי לקחתיך והנה ברכת ברך"
"I hired you to curse my enemies and behold you have blessed them." The Chasam Sofer points out that in an average Jewish year there are 354 days. Of these there are 222 days that we say Tachanun and are considered to be somewhat days of judgment. Conversely, there are 132 days that we do not say Tachanun because they are days of joy. Bila'am was hired to make our entire year into days of judgment and leave us no happiness. The Gematria of לקב (to curse) from the earlier verse is 132 and ברך (bless) is 222. Bila'am blessed us with such a blessing that not only did our days of happiness not turn to judgment, but those of judgment turned to happiness. Avodah Zarah in our Calendar? This Shabbos will be 30 Sivan, the first day of Rosh Chodesh Tammuz. Even though the names of the months that we use are Babylonian in origin, Chazal still project deeper meaning and symblism into these words. (See Torah Sheleimah Miluim Bo p. 177) What is fascinating about Tammuz is that the drasha and the Babylonian meaning of the word are identical. Tammuz is the name of a pagan god. The first month of summer, Tammuz, was dedicated in his honor. It pretty interesting to see how an abomination such as idol worship appears to plant roots in basic Jewish nomenclature. However, what is more interesting, perhaps, is how this relates to Parshas Chukas. The beginning of the Parsha discusses the concept of Parah Adumah, the Red Heifer. This service is performed in order to purify those that have come in contact with a corpse. It is comprised of a red heifer that is slaughtered and then incinerated to ash. The ashes are then mixed into a liquid mixture and sprinkled on the person needing purification. The process takes place outside the confines of the Beis HaMikdash. The Ramban notes that this mysterious service appears somewhat pagan. The red color symbolizes doom and elements connected to Eisav and Mars. It was used by pagans to embody these unholy concepts. The necessity for the service to be performed outside the Holy Temple also give this unholy feeling. It is therefore interesting to me to note that Chukas is ALWAYS read in Tammuz. This year is the closest thing to an exception that exists with it being read on the last day of Sivan, BUT that day is considered to be Rosh Chodesh Tammuz. Chukas will NEVER be read on a day of the year earlier than 30 Sivan and will NEVER be read in Av. Thus, we have the Parsha, whose mysterious reasoning gives the impression of idol worship and whose reasoning eludes us, being read in the month whose name connotes the same idea. As we are all familiar with, there are four seasons that we experience on Earth; spring, summer, autumn, and winter. Spring and autumn begin on the vernal and autumnal equinoxes, and summer and winter begin on the summer and winter solstices. In rabbinic literature all four of these days are referred to as Tekufos. Each Tekufah is called by the name of the month in which it usually occurs. Therefore, spring starts on Tekufas Nissan, summer on Tekufas Tammuz, autumn on Tekufas Tishrei, and winter on Tekufas Teves. There is an old custom to pour out any water that was in a vessel during the time of the Tekufah. Many reasons are given to explain the source of this custom (with some maintaining that it is not a valid custom), and one of the reasons given is that water turned to blood on these four days in specific times of our history. Therefore, it is harmful for one to drink water on these days. On Tekufas Nissan the waters of Egypt turned to blood during the first of the Ten Plagues. On Tekufas Tammuz water turned to blood when Moshe Rabbeinu hit the rock, on Tekufas Tishrei the knife to be used to slaughter Yirzchak began sweating blood. On Tekufas Teves, Yiftach was forced to fulfill his vow to offer his daughter as a sacrifice thus causing bloodshed. The tekufah of Nissan is referenced by the Torah's inclusion of the death of Miryam in this week's Parsha. This event happened on 1 Nissan which is a good reference to Tekufas Nissan. Tekufas Tishrei can be found be the discussion of the Parah Adumah. The Ramban teaches us that Parah Adumah and the sacrificial offerings of Yom Kippur were extremely similar in nature and meaning. Both were taken out of the Beis HaMikdash and give the appearance of idol worship. Thus, the allusion to Yom Kippur which is normally at the beginning of autumn can be seen in the beginning of the Parsha. The allusion to Tekufas Teves actually occurs in the Haftarah. In the Haftarah we are taught of the story of Yiftach and it includes the promise made by Yiftach (although I concede that it stops short of mentioning how his daughter became designated as the sacrifice; also due to this Shabbos being 30 Sivan the regular Haftarah will not be read and we will read the Haftarah for Rosh Chodesh).